You will earn 1,955 Reward Points. Earn 1 reward point for every 1 dollar spent. 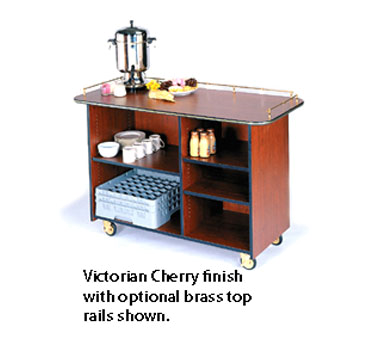 Perfect for catering businesses and high volume kitchens, this Geneva 68200 Service Cart is designed for lasting durability and easy maneuvering. This cart is 36.75 inches tall and 57.50 inches wide.